"public service means risking bankruptcy defending against false allegations"
Interior Secretary to Leave His Post. 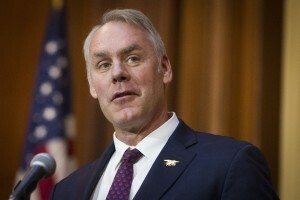 Interior Secretary Ryan Zinke, who has been the subject of more than a dozen government investigations, will leave his position by the end of the year, President Trump said Saturday, adding to the list of top officials to exit from the administration. “Every vicious allegation that is investigated leads to the same conclusion: no wrongdoing,” he said. “Ten straight investigations ranging from my wife riding in the same vehicle to the socks I wear. It’s sad when public service means risking bankruptcy defending false allegations. I don’t see it stopping under a new Congress.” Mr. Zinke has aggressively responded to critics. Last month, Democratic Rep. Raúl Grijalva of Arizona, the incoming chairman of the House committee that oversees the Interior Department, said in an opinion piece in USA Today that Mr. Zinke was unfit to lead the department and called on him to resign. Mr. Zinke responded by accusing Mr. Grijalva of showing up to work drunk. Mr. Grijalva denied the claim and demanded an apology.